It's pretty much a perfect love-match: both Trailer Made and TheSuperCool started their journey as mobile businesses, spruiking their wares to the people via wheels, before settling into permanant digs. 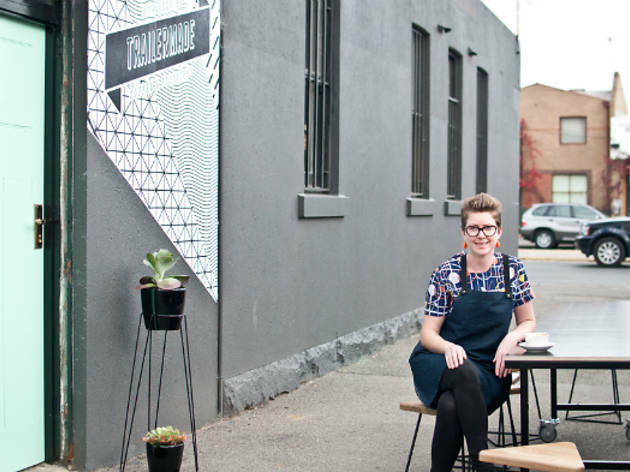 Now you can find them side by side on the same premises, because nomadic catering food truck Trailer Made has set up shop inside Fitzroy's emporium of cute stuff, TheSuperCool. Trailer Made will still be wandering the streets of Melbourne, but happily, you can now also find it in one place, any day, at its stationary HQ. If you love their travelling menu of delicious Middle Eastern and European inspired offerings, you'll be chuffed to know that the same affordable, flavoursome goodness is available in-store too. 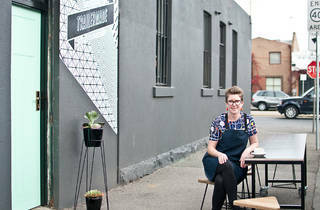 Look for the pale mint-hued door at TheSuperCool to find Trailer Made's streamlined space for "coffee and food stuff".